hill top homestead: Merry Christmas from Hilltophomestead. Well Happy Christmas on Boxing Day. This is a bit late as we had 10 of us for the big day, so no blog posting until I felt we were well passed the finish line. Here are a few thing that I wanted to show and tell for Christmas Eve. 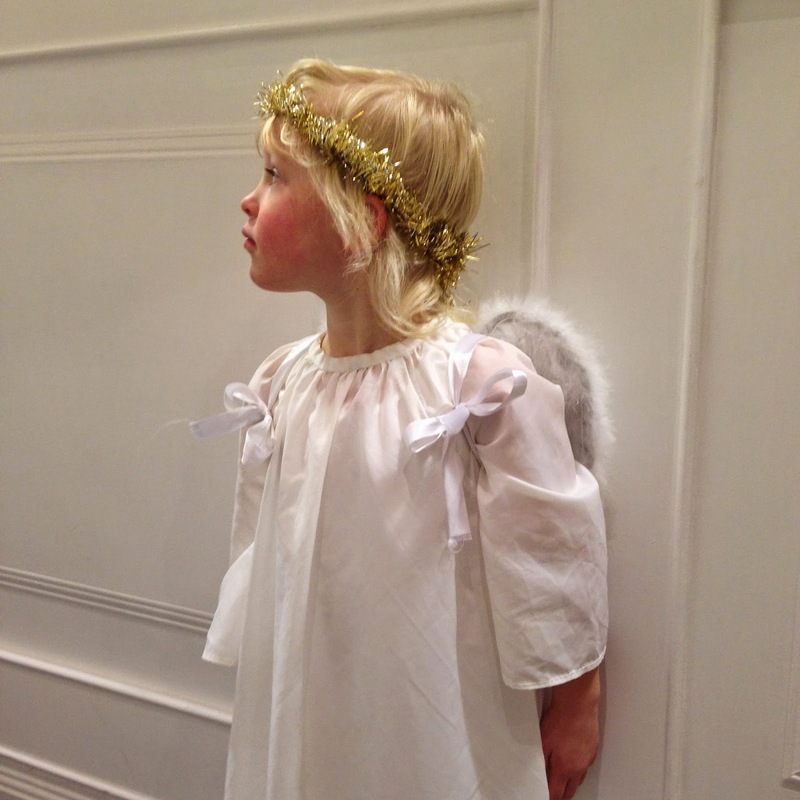 P is desperate to be Mary but keeps on getting cast as an angel. G has a better photo but he is bed with flu so this scene will have to do. We went to see a friends Advent Beach Hut in Brighton, the theme being Away In A Manger, When this hut's Mary and Joseph vacated to run up and down the prom, funny face moved in and swaddled that baby the only way a Mary could. We went to see Father Christmas or SSSSAntA! as we are calling him this year, P puts the emphasis on the ANT. I think we can beat FC on presents and decorations this year. In the rooms they had small bowls with cinnamon powder and crushed cloves there was a slight smell of orange in there too but no sign of peel. I think it must have been an oil because juice wouldn't have lasted that long? But I am going to try that next year. 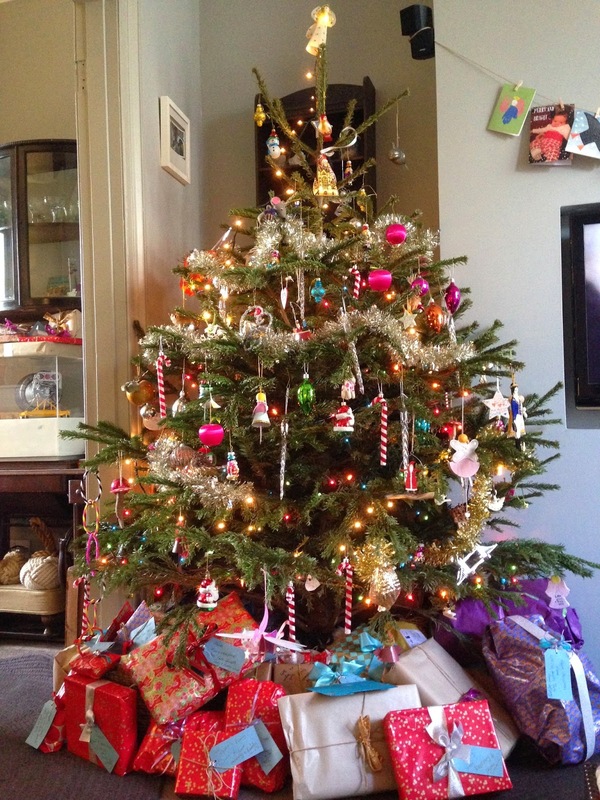 Along with cones of highly decorated papers with trim. 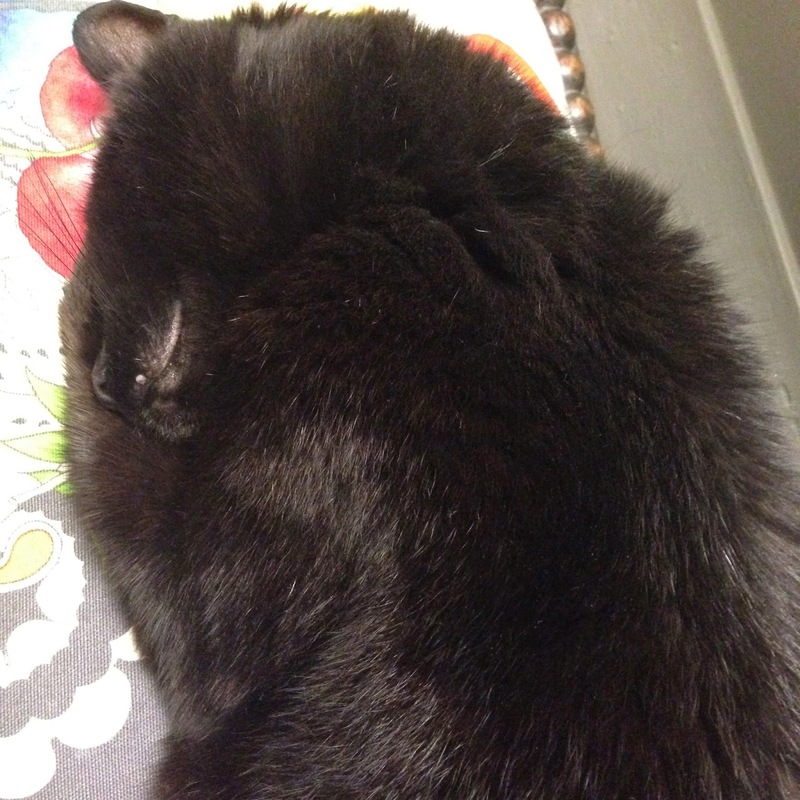 The cat, whose name is Freda Lavender and has been staying with us since 2000 took to the radiator and curled up adorably. Her little furry arms melt my heart. 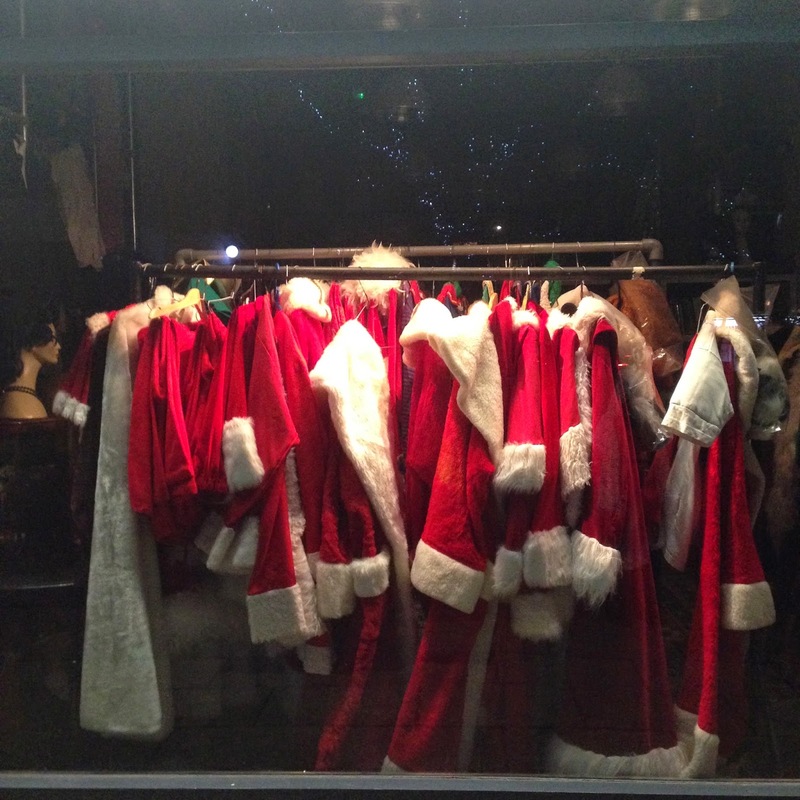 The best shop window I have seen was tucked out of the way and on the way to piano. And finally along with Christmas cheery wishes is the best version of Have Yourself a Merry Little Christmas that I have EVER heard. It is plinky plonk jazz on another scale. As a present to me take the time to have a listen.